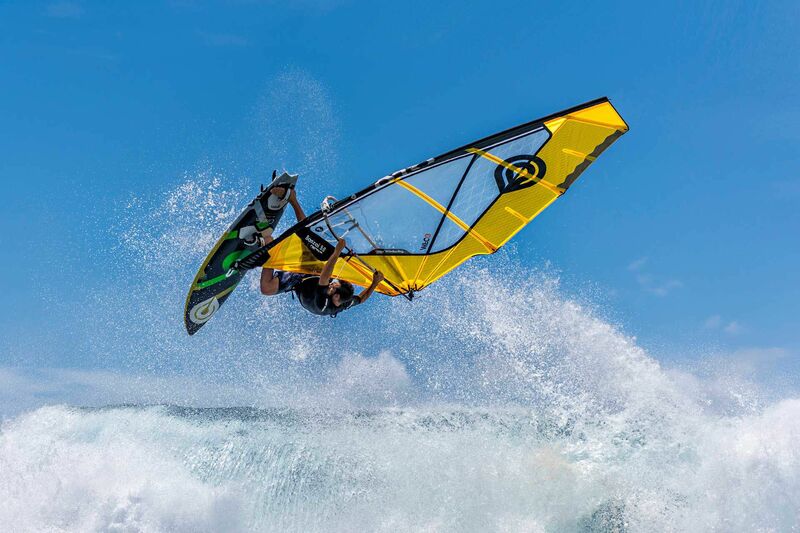 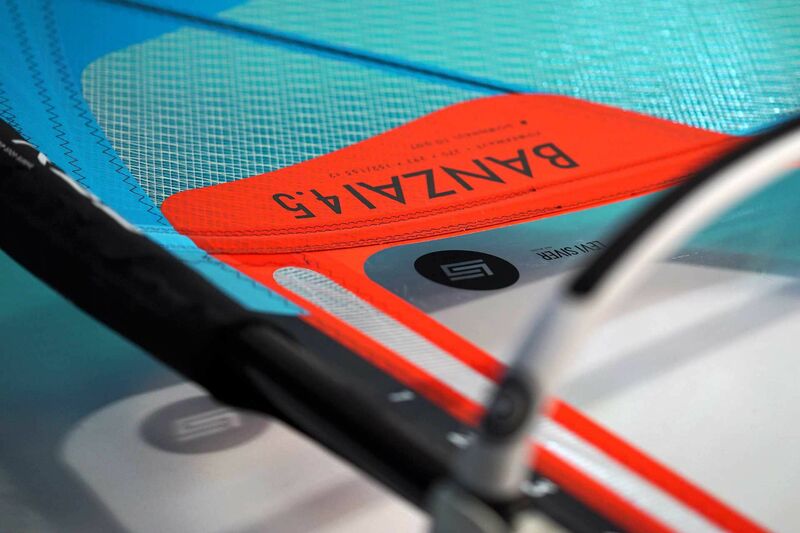 The 2018 Banzai is the result of nearly 2 years of dedicated R&D Marcilio Browne, Levi Siver and other top team riders. 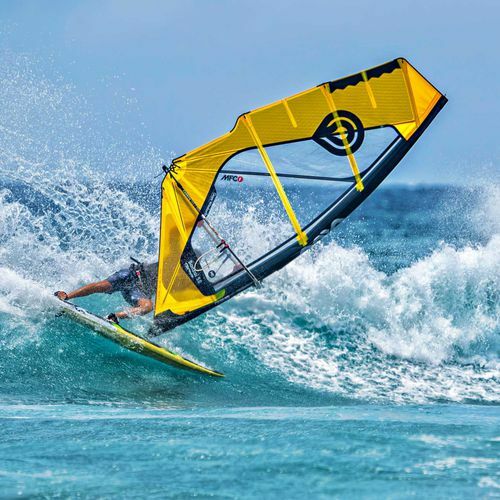 This new design gives you easier flexible power, mindless control, and massively improved range, especially in challenging conditions.Reduced luff lengths in sizes 4.2 to 5.5 open the possibility to use 370 or 400 mast in 4.7, and 400 or 430 mast in 5.5. The shorter mast option creates a lighter, more flexible rig, while the longer mast option creates more fixed power and drive in the sail. 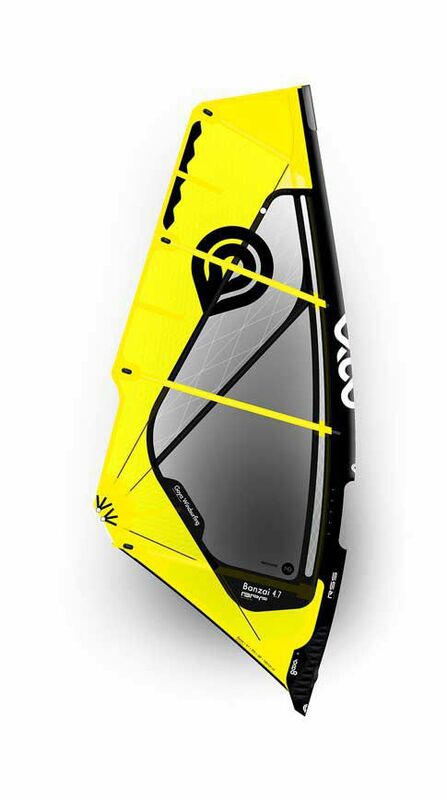 New shape and profile cuts give the Banzai a more progressive threedimensional profile and twist characteristic that give the sail chameleon skills.New Bi-Ply window shapes significantly increase the viewing area through the sail and make it easier to pick your line across the water. 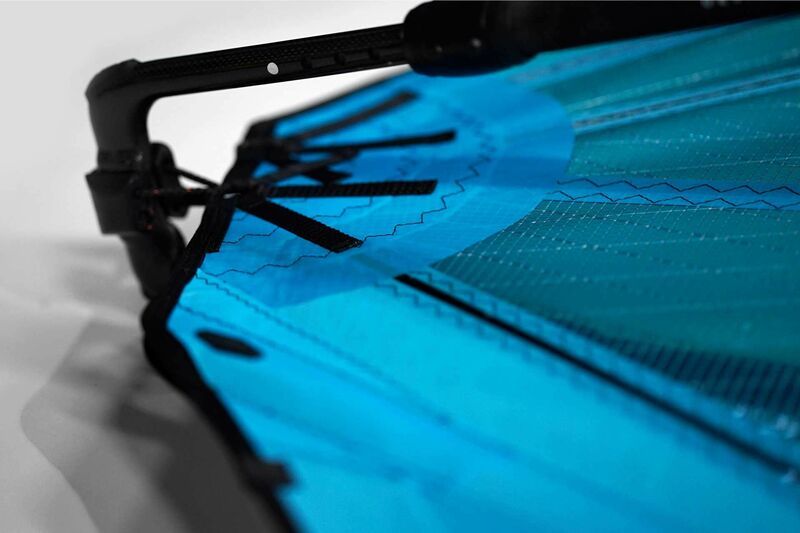 We have updated the material in the tack and foot of the sail, the area that sees the most impacts and damage with stronger film and yarn configurations.